Walking towards globalisation, School of Design – BINUS University tried to contribute in international scale through some activities such as seminar, workshop and exhibition. Held on May 2016, these international events were part of internationalisation programmes in DKV New Media collaborated with Xiao Yong Design Studio, Central Academy of Fine Arts (CAFA) and Gengdan Institute of Technology University Beijing, China. 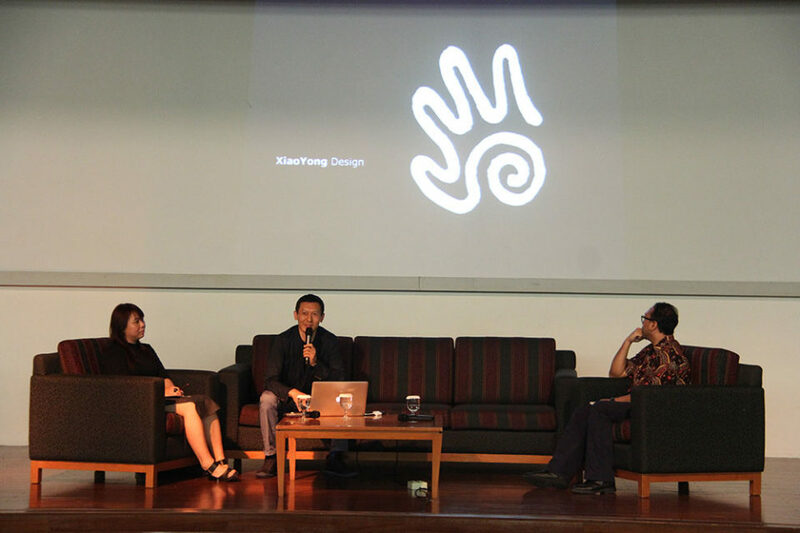 DKV New Media invited Professor Xiao Yong, a chief medal designer of Beijing Olympic 2008 and board member of CUMULUS (International Association of Universities and Colleges of Art, Design and Media) to be a keynote speaker for international seminar ‘Educational and Professional Perspective of Design in China’ that was held in Auditorium BINUS University on Saturday, 14th May 2016. The seminar aimed for final year students of DKV New Media in order to prepare them joining industries after they graduate, although this seminar also opened for other design students in School of Design. The seminar was successful and got a great response from the participants.